Let your imagination soar with these four Disney Princess stories starring Cinderella, Ariel, Belle, and Snow White! Throughout the stories, you can project images from key moments onto your wall with the removable movie projector! Cinderella, Ariel, Belle, and Snow White are the stars in four brand-new stories! Cinderella makes pretty gowns for the children in her village. Ariel plans her wedding and finds a way to include her mer-family. Belle is fascinated by a new invention—and becomes good friends with the inventor. 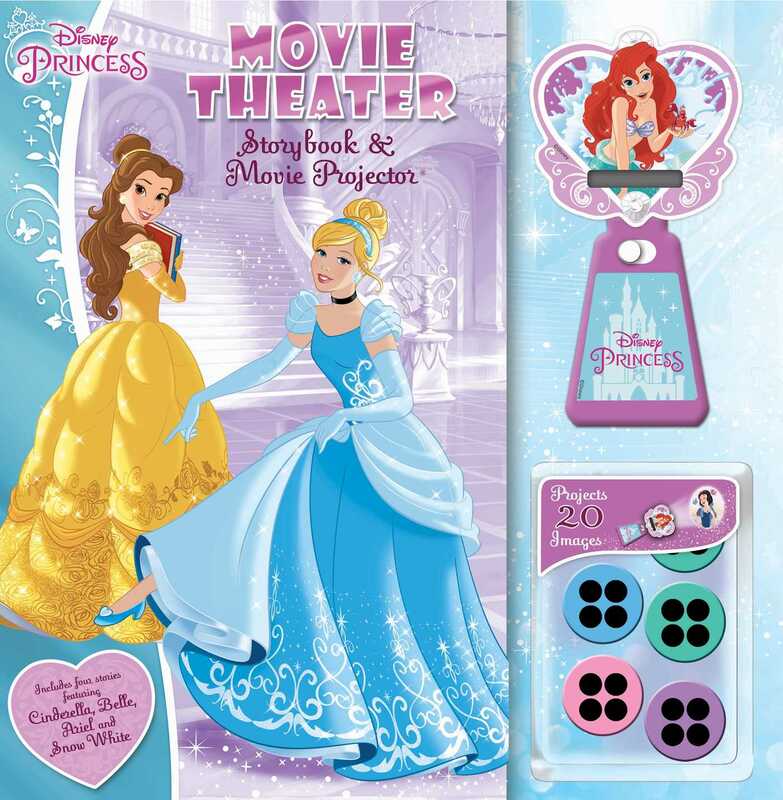 As they read, girls will love projecting 20 story images on their wall with the move projector.